I absolutely love this shot. 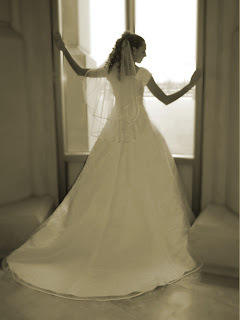 It is a great position to show off the back of the dress, and to get a nice profile of the bride. BEAUTIFUL!